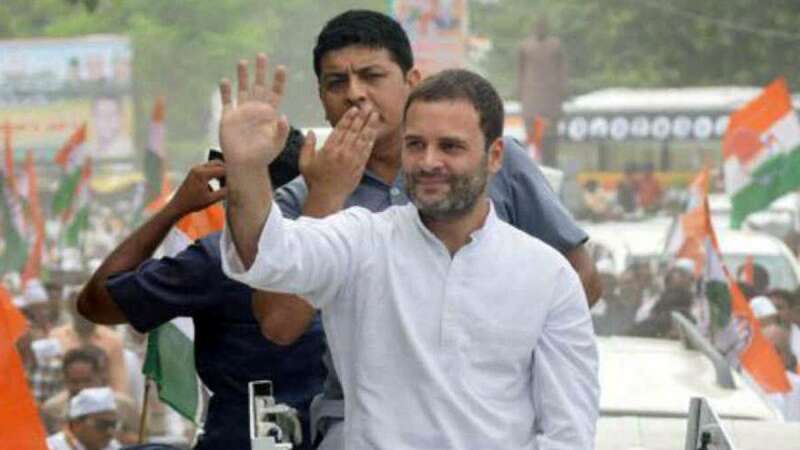 New Delhi : The heavy traffic jam was witnessed on Delhi roads on Thursday as Congress Vice President Rahul Gandhi entered national capital from Ghaziabad during his 26-day ‘Kisan Yatra’ through poll-bound Uttar Pradesh. It was nothing less than a nightmare for motorists who were forced to stay on roads due to heavy traffic jam. Rahul Gandhi made an entry into the national capital at around 4 PM from Ghaziabad. he traveled with his supporters through Karkari Mod, Vikas Marg, Laxmi Nagar, Rajghat, Bhairon Mandir and Sansad Marg to culminate at Jantar Mantar. The traffic jam was bound to happen as the festive season is going on and more people hit the road during that time bracket. A news report mentioned about traffic police getting delayed information about Rahul Gandhi’s arrival in the capital. Traffic police had less than 24-hours to make all security arrangements. Trying every possible act to ensure fewer vehicles on roads, Delhi Traffic police was sharing all the latest information about closed roads via Twitter. In poll-bound state Uttar Pradesh, Congress vice president Rahul Gandhi went for a 26-day Kisan Yatra that passed through various constituencies in the state. During his Kisan Yatra, various Khat Sabhas were also conducted where he interacted with farmers and villagers. He was accompanied by party's chief ministerial face Sheila Dikshit, UPPCC president Raj Babbar and actor-turned politician Nagma. # Rahul Gandhi was on his 26-day-long 'Kisan Yatra' to poll-bound Uttar Pradesh.